In 4-quart Dutch oven, heat beans and water to boiling. Reduce heat to low; cover and simmer 1 hour. Drain beans. In 3- to 4-quart slow cooker, mix beans and remaining ingredients. Cover; cook on Low heat setting 6 to 7 hours. Beans will hold on Low heat setting up to 2 hours; stir occasionally. 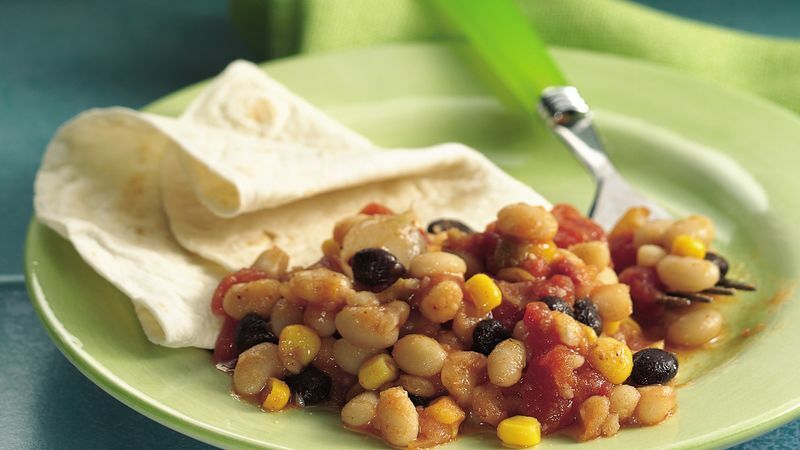 Instead of black beans, try pinto, navy or red beans to give this recipe different color and texture. Rinse canned beans thoroughly to remove the starchy liquid and excess salt, then drain completely. The dried beans in this recipe are precooked to make sure they'll be tender after cooking in the slow cooker.